After extensive testing, including an extended public beta, ARL Tizra best met their requirements and moved into production starting with its flagship newsletter Research Library Issues. An important part of the project was to provide open and equitable access to information for those with print disabilities. "We needed to 'walk the walk' when it came to the accessibility practices we recommend to our members. Tizra's ability and willingness to support our initiatives were an important part of our decision making process," said George. ARL is strongly committed to providing access to its own web content to people with print disabilities and is currently working to comply with the requirements of W3C Web Content Accessibility Guidelines 2.0 Level AA (WCAG 2.0 AA). Tizra has worked with ARL to create accessible landing pages for its digital content and is working with ARL in taking additional steps to improve screen reader interpretation, including adding alt text to images, captioning videos, using style settings to define text types, assigning languages and completing metadata. 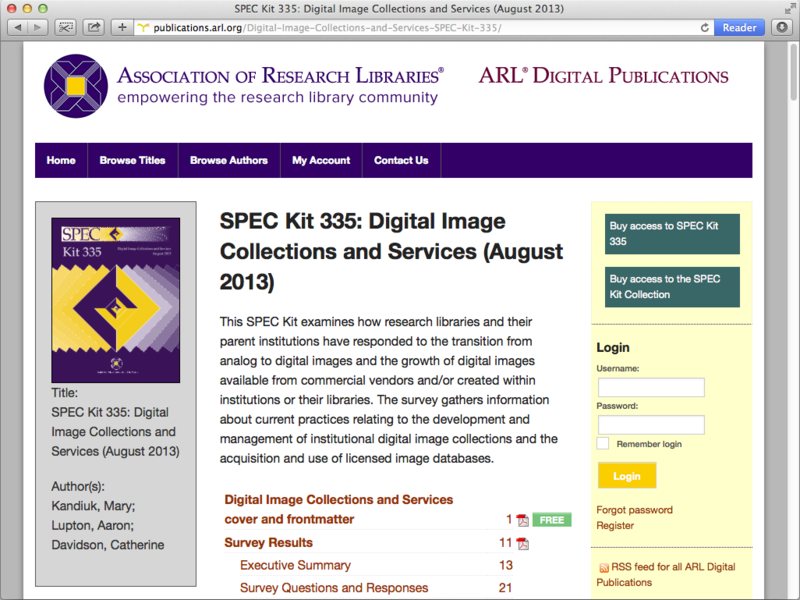 To learn more about ARL's accessibility initiatives and digital success, download the case study.